Twisted Prayers, the newest full-length from death metal defenders of the old GRUESOME, is out NOW via Relapse Records. If you missed it, view the band’s NSFW video for “Fatal Illusions” as well as the Jeffrey Sisson-directed video for “Inhumane” and lyric video for “A Waste Of Life” HERE. 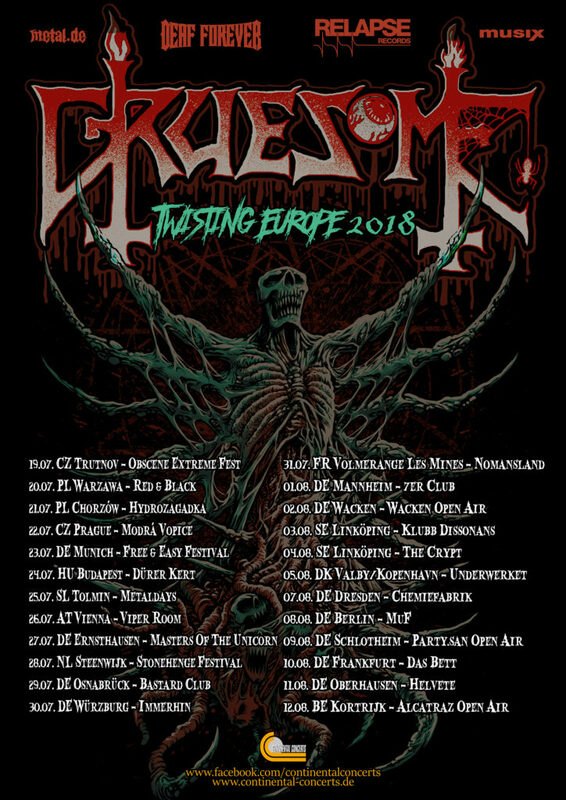 GRUESOME recently partnered with Decibel Magazine to share their cover of “Legion Of Doom” by Chuck Schuldiner’s pre-Death project Mantas. The recording was included the June 2018 issue as a special pictured flexi disc. Stream the exclusive track below. 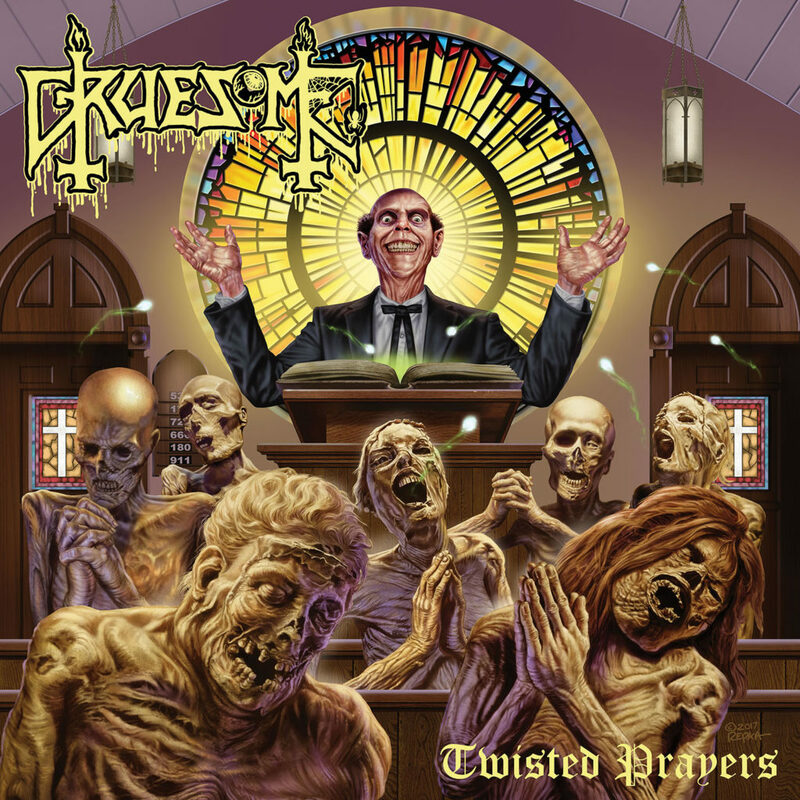 GRUESOME — featuring current and former members of Exhumed, Possessed, Malevolent Creation, and more — returns with its second full-length, Twisted Prayers. 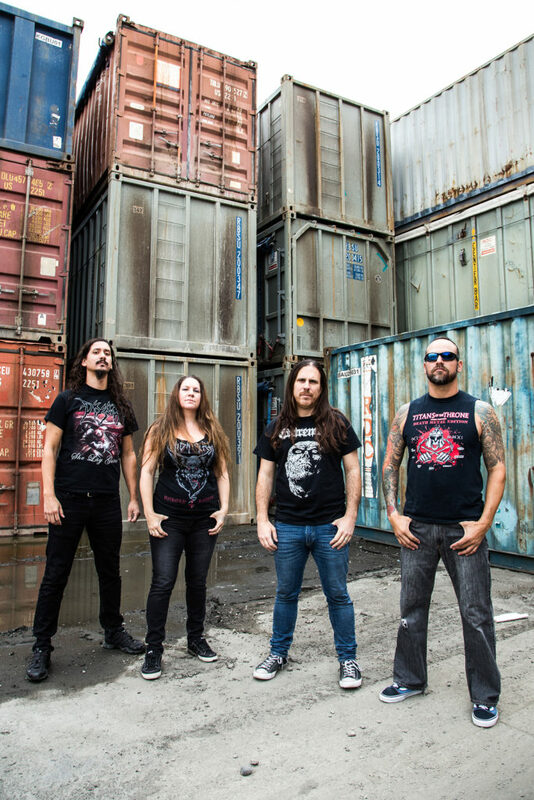 The eight-track offering follows Death’s paradigm shift during the Spiritual Healing era, incorporating more cerebral, melodic instrumentation with elements of thrash and thought-provoking, socially conscious lyrics. Recorded at New Constellation Studios in Orlando, Florida with producer Jarrett Pritchard (Exhumed, 1349, Goatwhore, Wolvhammer) who has been instrumental in crafting the band’s sonic homage, Twisted Prayers features GRUESOME doing what they do best across over forty minutes of unholy hymns with lurid melodies and vulgar atmospheres. The band has once again teamed up with the legendary artist Ed Repka (Death, Atheist, Massacre) for the album’s blasphemous cover art in addition to legendary Death guitarist James Murphy (Death, Obituary, Testament) for a pair of special guest guitar solos. Bow your heads and worship at the altar of GRUESOME!